The Breidjing Refugee Camp, located in Eastern Chad on the Sudanese border, shelters 30,000 people who have fled their homes in Darfur, Sudan. 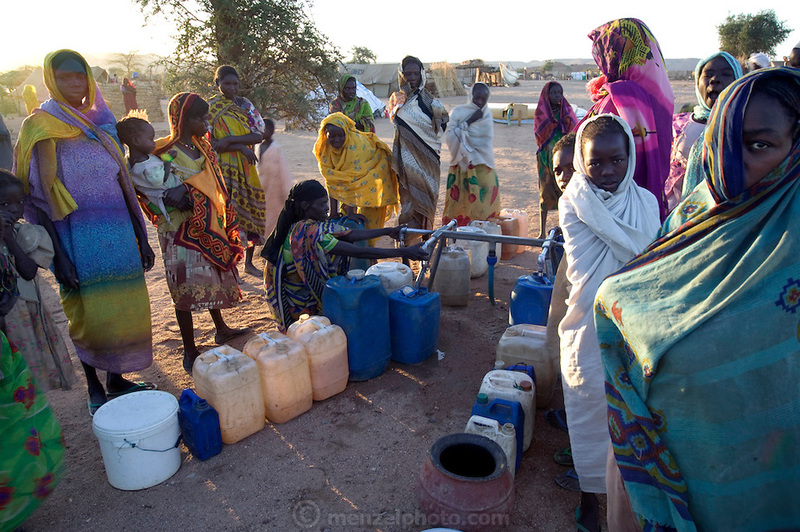 Water is a constant preoccupation in the Breidjing Refugee Camp. Every day, lines of women and children carry jugs and pots of drinking and cooking water from distribution points to their tents. To get extra water to wash clothes, families dig pits in nearby wadis (seasonal river beds), creating shallow pools from which they scoop out water. in the month of November, the camp wadi had water three feet below the surface. As the dry season advances, the sand pits get deeper and deeper.